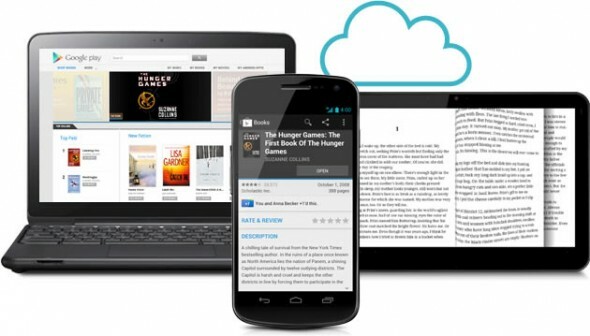 One of the allures of getting one of Google’s developer-friendly Nexus Android devices is that you have bigger chances in getting timely official updates when new major Android versions hit. 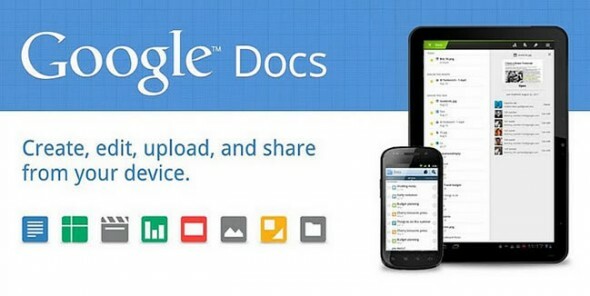 Well, the Nexus S and Nexus S 4G started receiving the Android 4.0 Ice Cream Sandwich (ICS) update only a month after Google released the latest and greatest version of Android, however the update was soon pulled with Google citing battery and Wi-Fi issues related to the update. 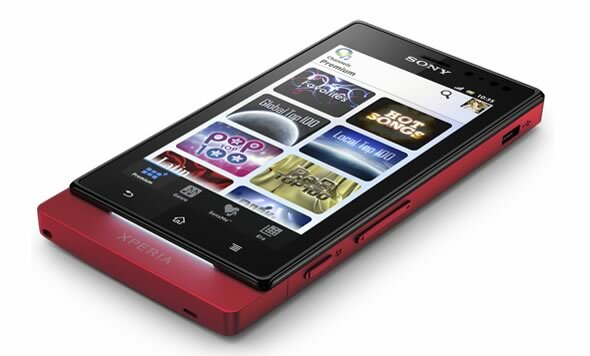 Sony has just unveiled a new smartphone in its Xperia NXT series. 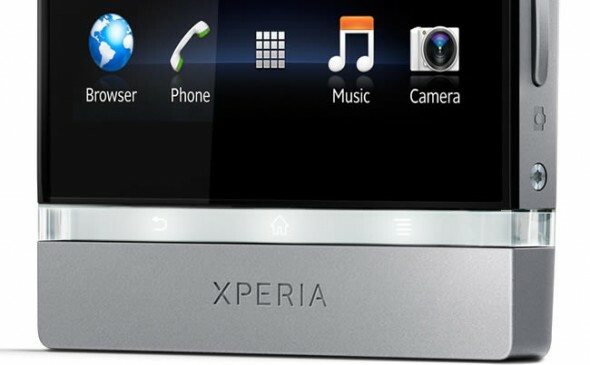 The Xperia Sola is a 3.7-inch Android smartphone coming in between the 3.5-inch Xperia U and the 4-inch Xperia P. The Sola shares a lot of the design cues that we’ve come to love in recent Xperia smartphones, though it’s missing the transparent acrylic strip at the bottom that we first saw in the high-end 4.3-inch Xperia S.
Nevertheless, the Xperia Sola has something unique. 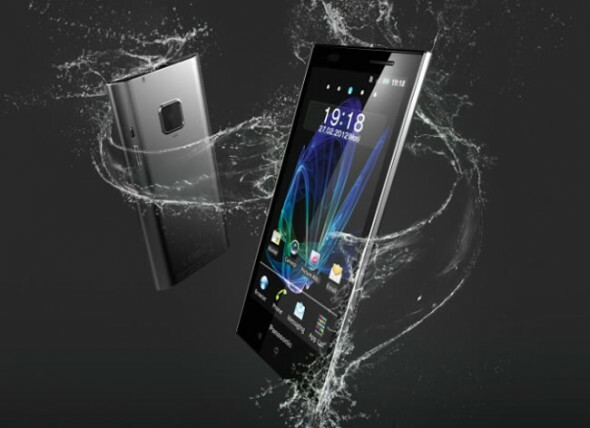 It’s the first smartphone to feature “floating touch” navigation technology. That is the device can sense a finger above the display and allows users to move an on-screen cursor by hovering a finger above the screen, you then tap the screen to navigate. One of the criticisms against Android over Apple’s iOS, is that it doesn’t offer the same level of multitouch responsiveness and UI smoothness. This perceived ‘lagginess’ has been the subject of much debate, but we won’t go into that right now. Well NVIDIA has been pimping its newest 4-PLUS-1 quad-core (plus fifth power-saving core) Tegra 3 system-on-a-chip (SoC) and created a new mobile touch technology, named DirectTouch, promising to improve multitouch experience. 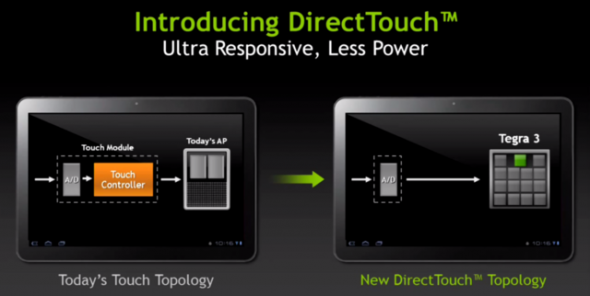 The DirectTouch architecture offloads part of the touch panel processing to the Tegra 3 CPU cores, reducing lag and increasing touch samples per second. This should improve user interface responsiveness and accuracy and of course gaming experience, without any expense on battery life. Would you like an edge-to-edge-screened bezel-free smartphone with that? Yes please! Apparently someone up there has been listening to our wishes. 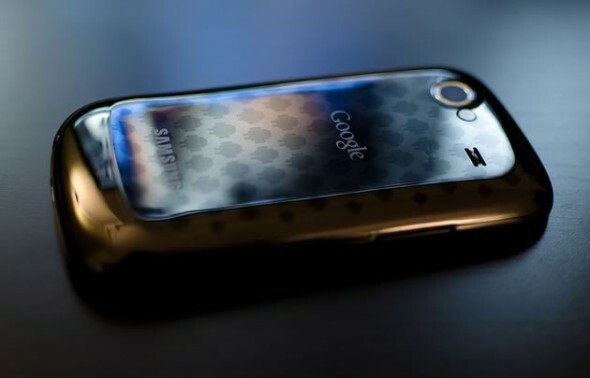 After Samsung promised that we will be getting at least a full day’s worth of battery life from our smartphones in 2012, another of our wishes could become true this year. The rumor comes with a good pinch of salt, but if a Korean publication proves right, Samsung maybe preparing a new smartphone with a very thin bezel that would make our dreams of edge-to-edge displays true. 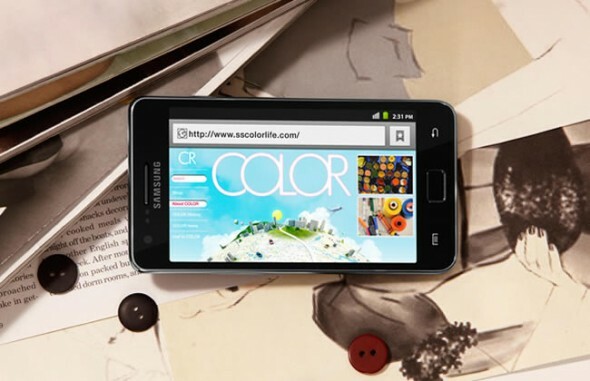 The device is named, at least for now, Galaxy B and it may emerge in the third quarter of the year. 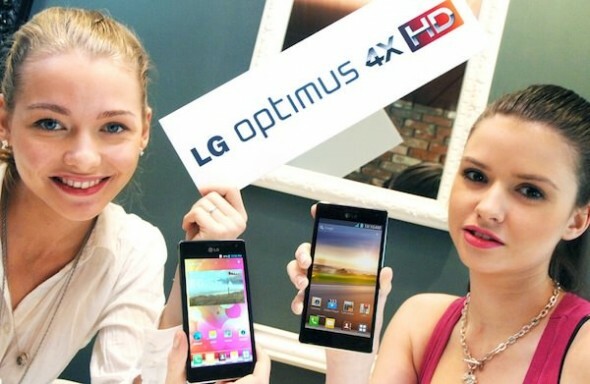 It’s no secret that we will be seeing a lot of Tegra 3 devices at MWC 2012, but LG has just beat everyone else to officially announce the first quad-core smartphone, named Optimus 4X HD (a.k.a. LG X3). 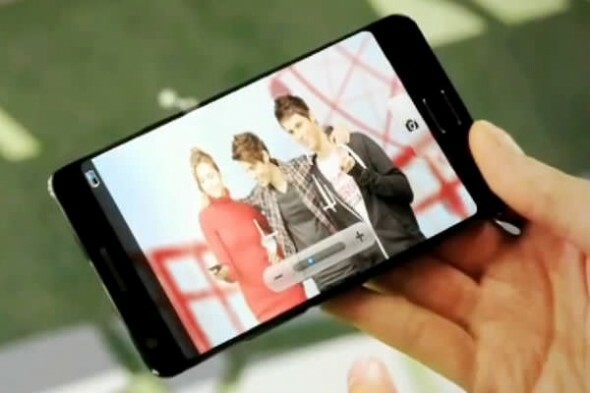 Looking past LG’s lengthy naming convention, the new smartphone will certainly become the flagship for its 2012 lineup. 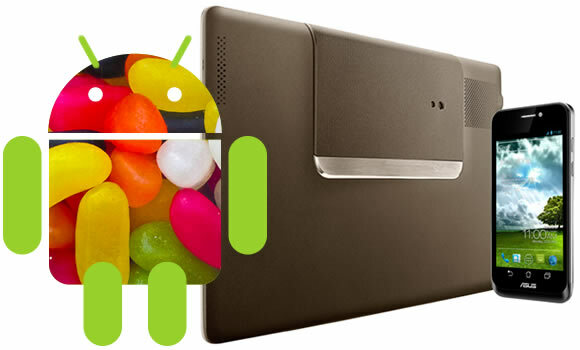 It’s a massive 4.7-inch device with a 720p HD IPS LCD display running on the 1.5GHz quad-core (or 4-PLUS-1 as NVIDIA calls it) Tegra 3 SoC. 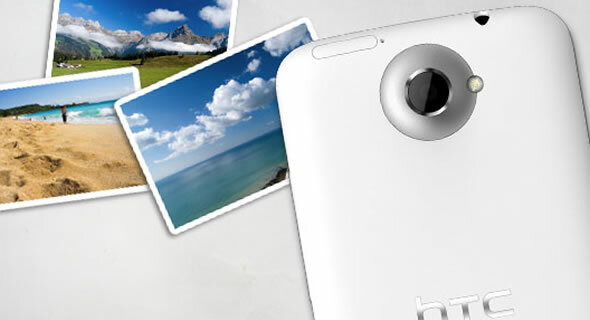 Inside that 8.9mm thin body, you’ll find 1GB of RAM, 16GB of built-in storage and a not too shabby 2,150mAh battery. 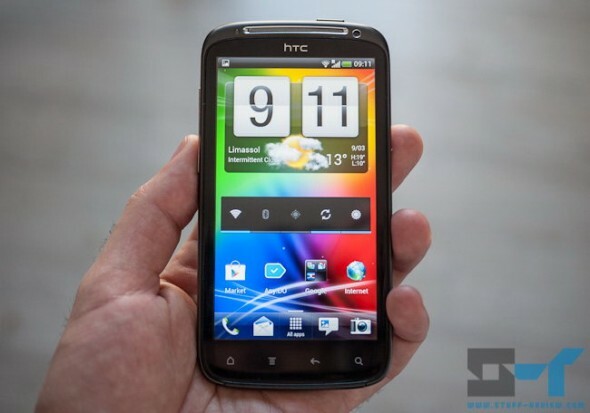 The Optimus 4X HD will be running Android 4.0 Ice Cream Sandwich and we’ve already seen that Tegra 3 SoC grabbing a 4,412 Quadrant score, handily beating other ICS devices like the Galaxy Nexus (full review here).